Delivers more runtime, power and speed than standard lithium-ion batteries. 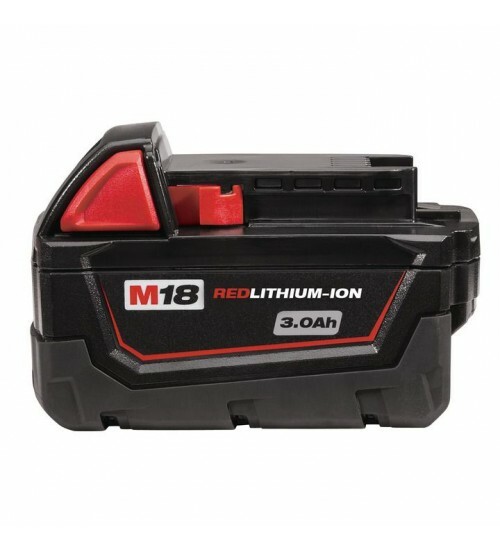 The M18™ REDLITHIUM™ XC Extended Capacity Battery is designed with superior pack construction, electronics, and performance to optimize work per charge and work over pack life. It offers 3.0 amp-hours of runtime. With built-in Milwaukee durability, this battery runs cooler and performs in climates below 0°F/-18°C.Managed by Milwaukee’s exclusive REDLINK™ Intelligence, the battery features overload protection to prevent you from damaging your cordless power tools in heavy-duty situations, while the discharge protection prevents cell damage. The temperature management system and individual cell monitoring help maximize battery life. Use this extended-capacity battery to power your Milwaukee M18 cordless power tools.